KOEI TECMO America is thrilled to confirm today that Toukiden 2, the sequel to the popular demon-hunting RPG Toukiden, will release across the Americas in Spring 2017. With more information and details to be disclosed in early 2017, KOEI TECMO America today released a selection of screenshots introducing the game’s revamped battlefields alongside an original Toukiden anime short film by Studio 4°C. Focusing on events that take place prior to the game’s narrative, the anime short exemplifies the rich lore of the Toukiden series and highlights some of the new characters who join players on their journey and whose fates play a key role in the Toukiden 2 storyline! 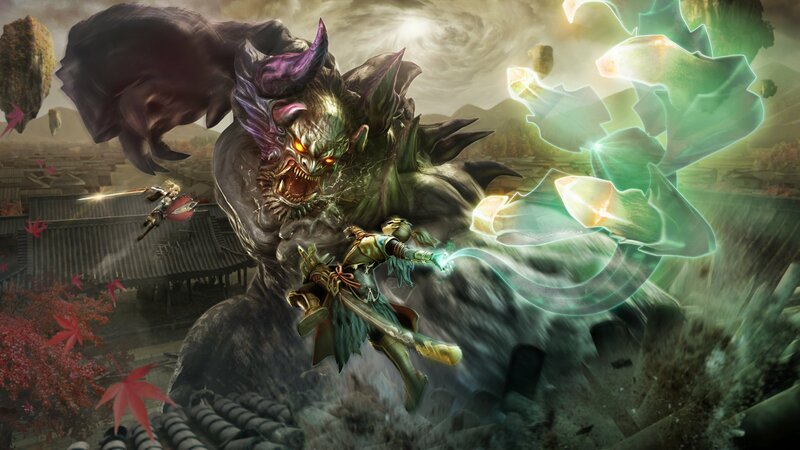 The Toukiden series tells the tale of humanity’s last stand for survival against demonic, soul-devouring Oni. As revealed in Toukiden: The Age of Demons, humanity was protected for centuries by a secret clan of warriors, the Slayers, trained to dispose of the supernatural threat before it could consume the world. An event known as the Awakening caused rifts to appear in space and time – resurfacing places that had long disappeared from the world and unleashing swarms of Oni that relentlessly hunted humans. Set shortly after the events detailed in Toukiden: Kiwami, Toukiden 2 introduces an all-new, captivating narrative featuring a compelling cast of companions and more devious demons to defeat. Players will step into the shoes of a Slayer tasked with saving humankind by carrying out special quests to reduce the monstrous hordes and liberate Oni-infested areas.Toukiden 2 boasts a vast and extensive open world full of danger and wonder, and takes the player deep into enemy territory. Slayers and Oni will battle it out in the Otherworld, a tormented battleground divided into six distinct Ages. Revisit the redesigned Ages of Yore, Grace, Honor, War, Peace and Chaos, each distinctively representing an era of Japanese history, and discover more about the Oni threat and your character’s unique role in its resolution! According to the anime short of Toukiden 2, the game will release in Spring 2017. In Japan, the game released on the PS4, PS3, and Vita, but there is currently no word if there will be changes to that. You can also see some screenshots for the game down below. For more information, be sure to check out the official website for Toukiden 2 as well.